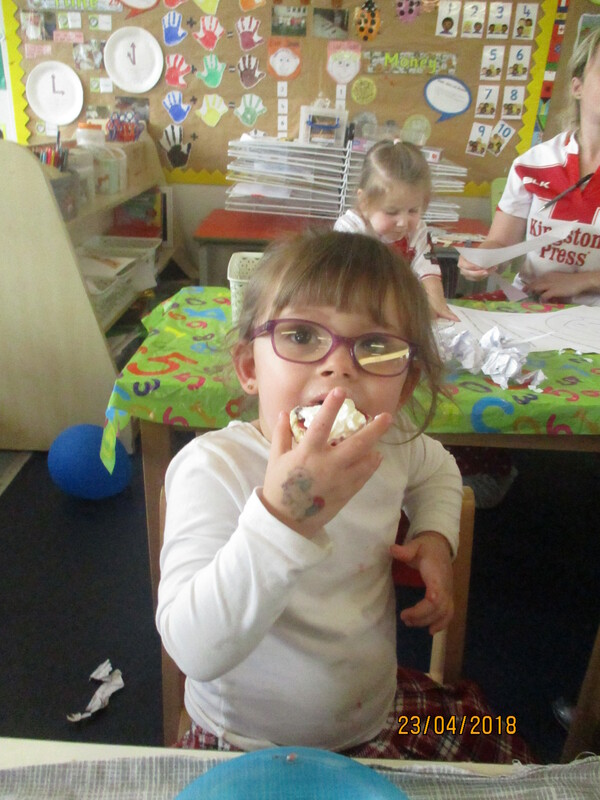 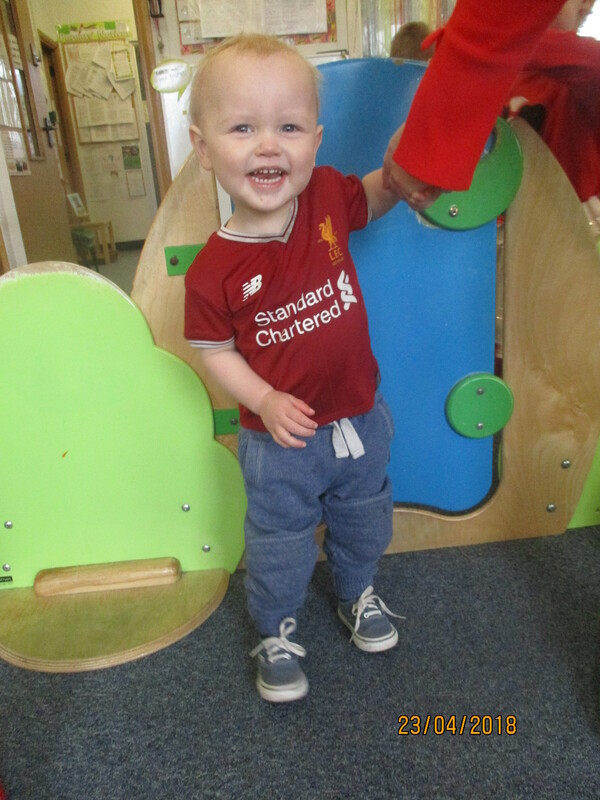 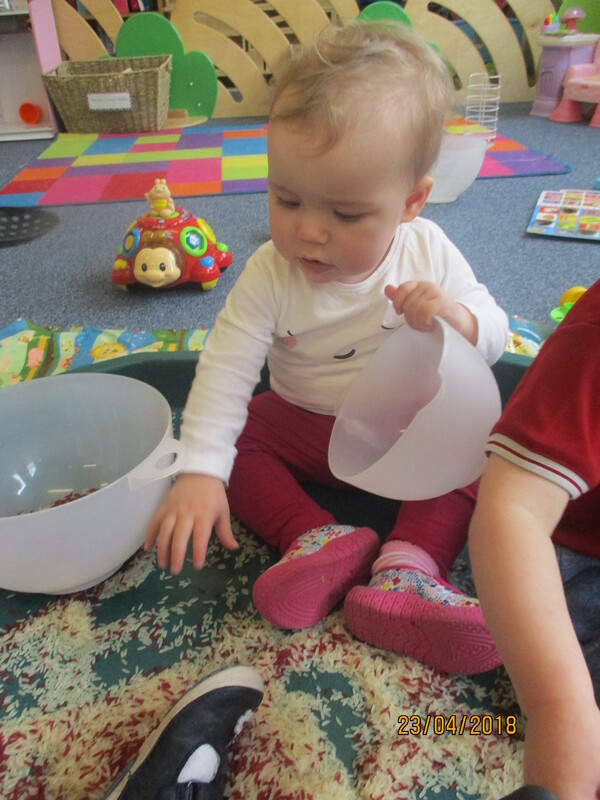 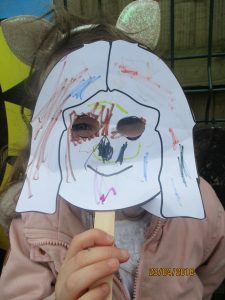 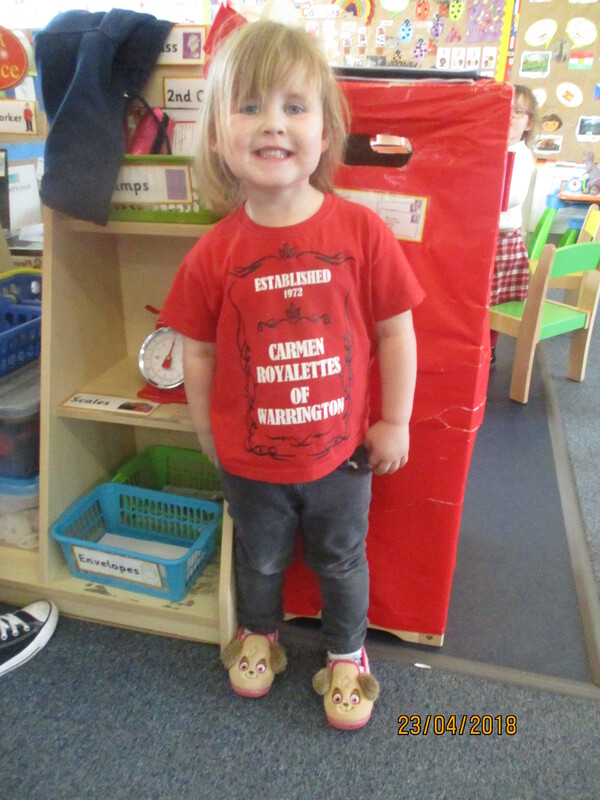 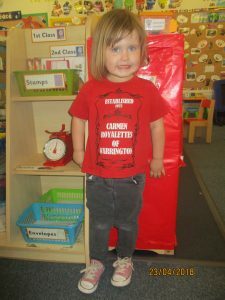 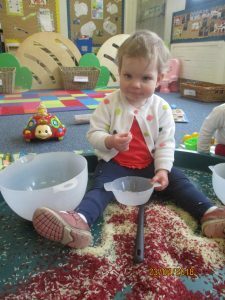 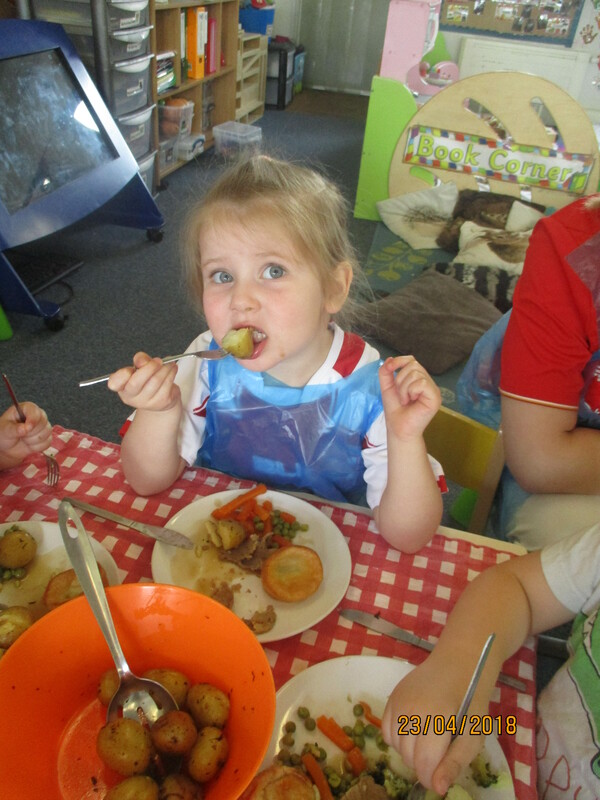 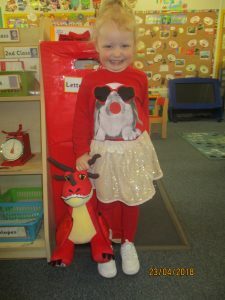 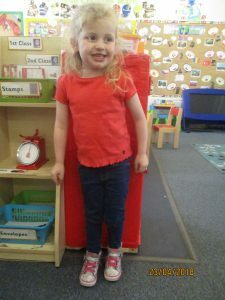 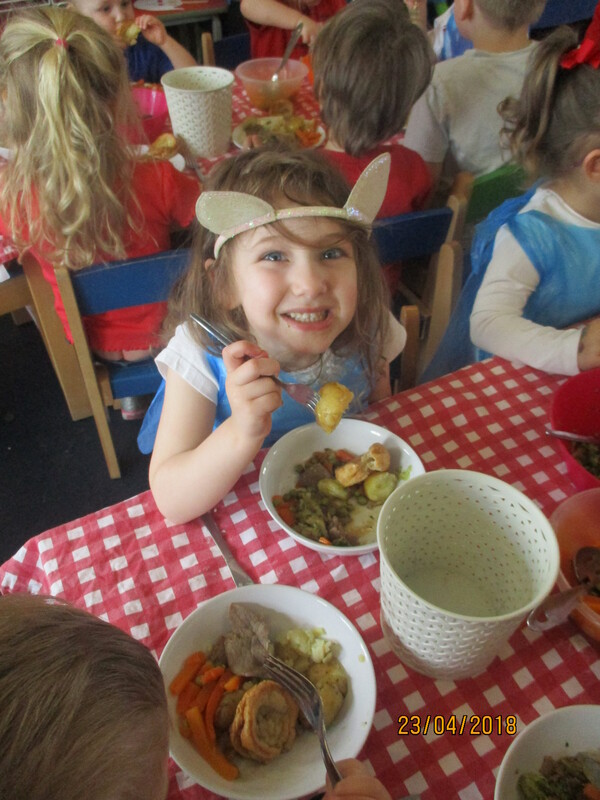 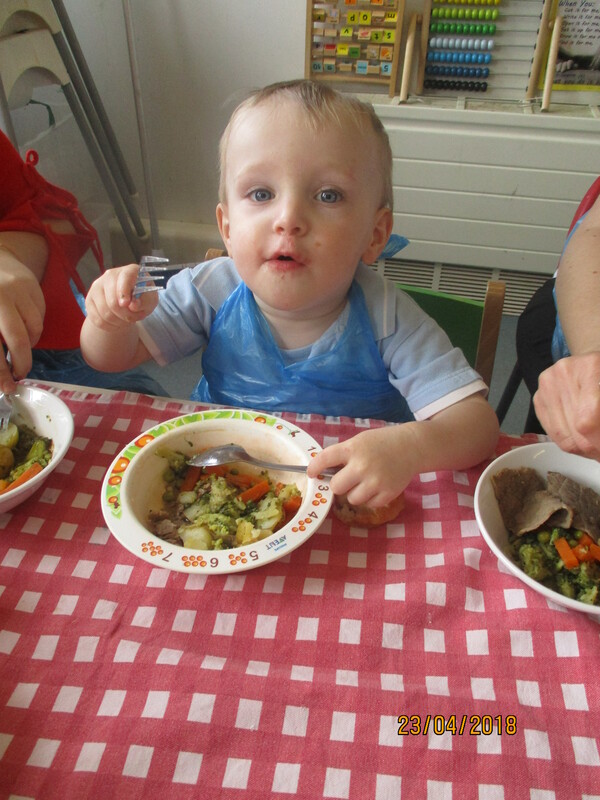 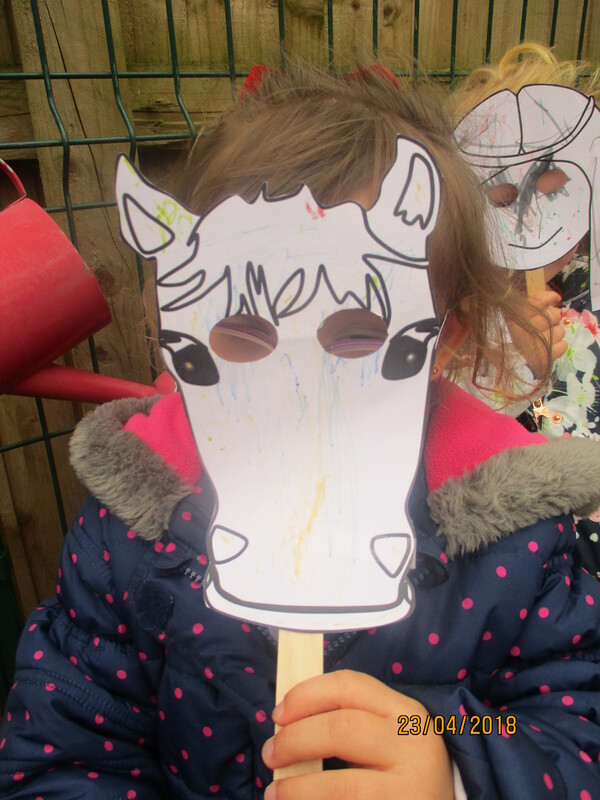 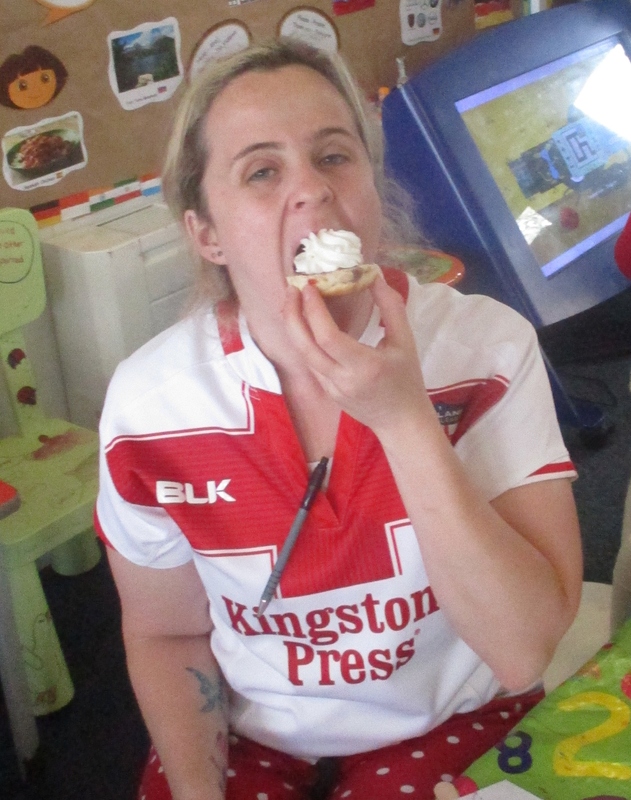 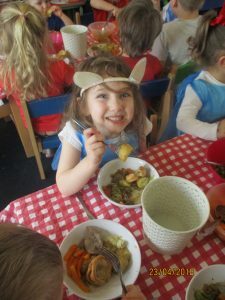 Children at Longbarn enjoyed a day of celebrations for St Georges Day. 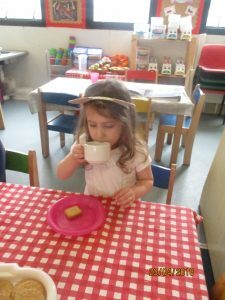 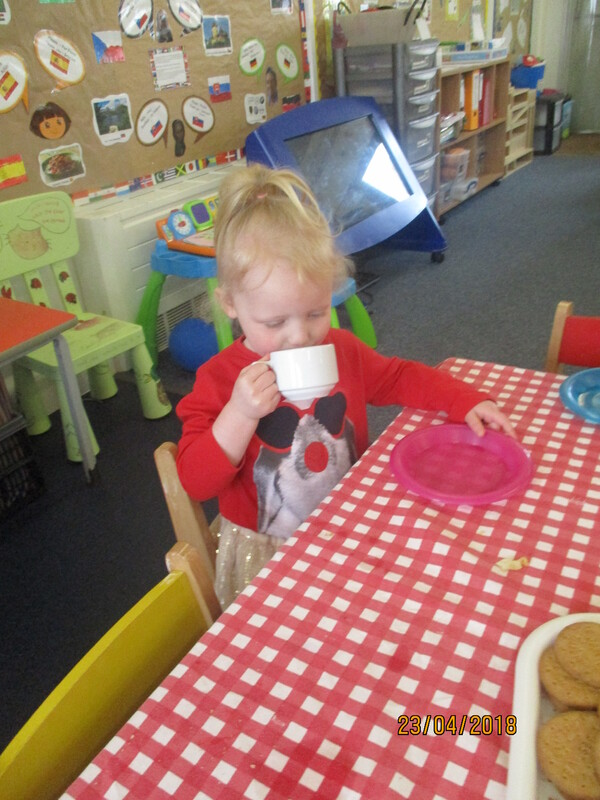 We had tea and biscuits for our morning snack, roast beef and Yorkshire puddings for lunch, and a lovely afternoon tea yummy. 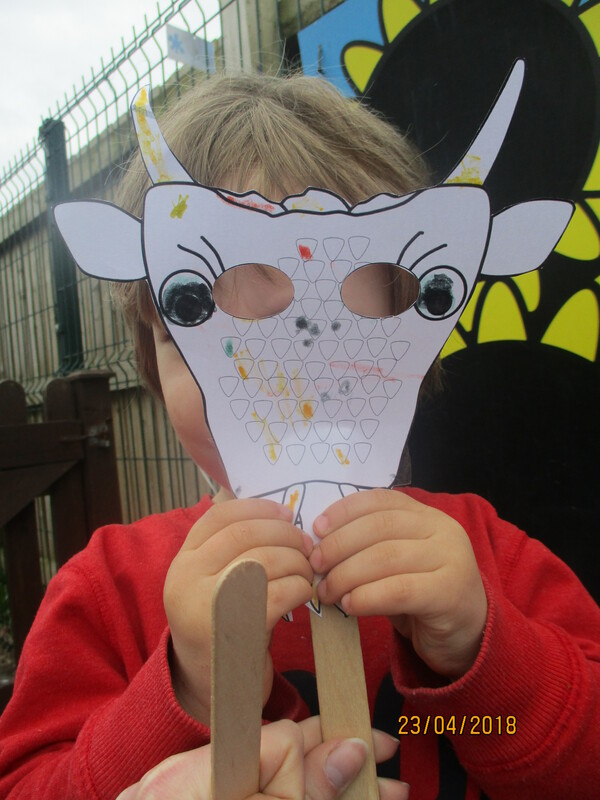 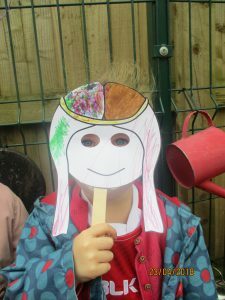 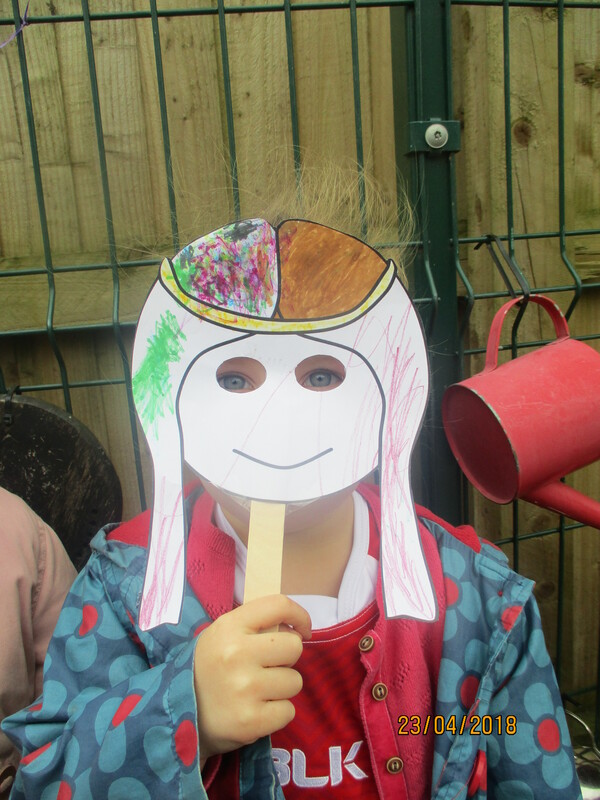 We also listened to the story of George and the dragon and mage our own George and dragon masks to play with in the garden.